You really need to head up north from Milan. On the border of Italy and Switzerland there is a plethora of amazing towns, villages, mountains and lakes to see. Skip the cities and see why Lake Como rocks. 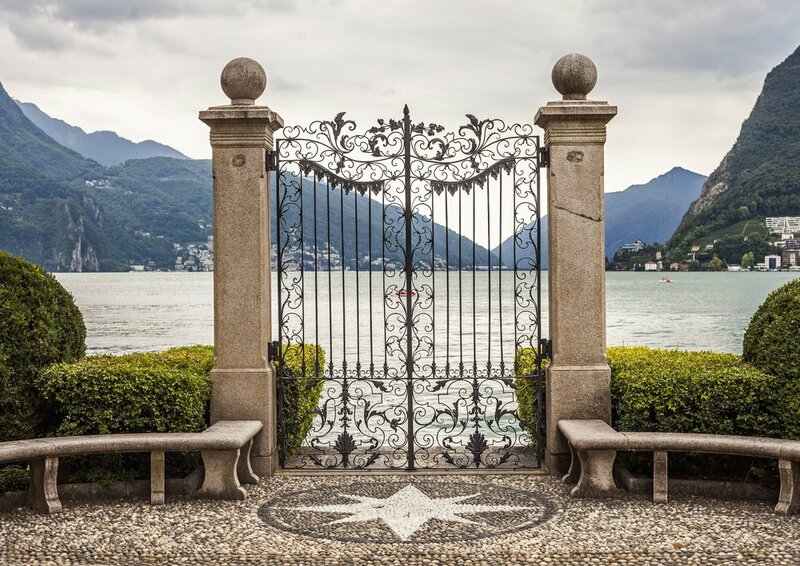 Lake Como is widely known for being the location of the fourth homes of some of Hollywood’s biggest actors and the world’s most famous people. This area is so much more than just glitz and glamor however. In the span of a few days VoyEdge RX will take you to two cities, one on the Italian side of the border and the other to Switzerland, to check out some of the world’s greatest landscapes, sights, and food. The outline of Como, Italy was first carved out in 1 BC when the Roman Empire started to build up the center of the city. When it was discovered the area was too swampy, the town was moved by order of one Julius Caesar. Many battles with the nearby city of Milan took place over the next 1,000 years and the town of Como was tossed around between France, Austria, and Italy. Finally in 1859 it was agreed that Como would be part of the Kingdom of Italy and it has remained Italian ever since. With all of the changing of hands this town, much like Bolzano, has many different cultures merged into one. There is clearly a bunch of history not to missed in Como but besides that, the event you do want to be a part of is the hike of Monte Generoso! This easy hike up to a height 3,500 feet (1,074m) gives the best views in all of Europe. From here you can see the Po Valley and all the surrounding lakes, the Matterhorn, and the rest of the Alps. On the way up VRX will have a special surprise for you! We promise you that this is a moment you will never forget. Lake Como is certainly going to be one of the pinnacles of our 'Northern Italy + Switzerland' trip - and we can't wait to bring you there. Since the stone age Lugano has been a retreat for many of the world’s elite, and much like Como, Lugano has been involved in many battles over who gets the rights to have this city part of their empire(s). The caveat now being since it's more medieval days, Lugano is now a gorgeous city, nestled amongst the Swiss Alps. Much like Como you can either just relax along the promenade/old town Lugano or if your hiking itch has not been satisfied there is another amazing hike up Monte Boglia. The peak is split between Italy and Switzerland so once up there imagine doing a workout in two different countries, on top of a mountain, with amazing views. That is something to remember the rest of your life - and you'll have that very experience on our upcoming trip. If you need to check out a castle, make sure and get a glimpse of The Bellinzona Castles. Built in the 15th century, these castles still bring out the classic Roman architecture as well the feeling of travelling back into that time period. With so much to do in both of the cities you will get your fill of culture, fitness, and travel knowledge that you can bring back to the States and make your friends all jealous. This is just one of the stops on this magical ride through Northern Italy. Check out the blog about Bolzano to read up on that city. Coming up next in the Northern Italy blog series: Florence, Italy!! (You could say it is the city where VRX had its seeds planted). Box drop-ins, hikes, group dinners, pubs, travel WOD's, adventure activities, free time, shopping, sightseeing and more. This is what you'll get on your next vacation with VoyEdge RX - and we promise to make it more memorable than you ever could have imagined. Hope to see you on our Northern Italy + Switzerland trip this summer. Email me with any questions, comments or concerns! It's 11 days long, and entirely worth it.